This sequel to Spellbinder picks up two months after the events of the first book left off, with our heroine, Belladonna Johnson, living at home with her ghostly parents. Things are back to normal - too back to normal, she thinks. It's almost as though all the excitement (and fear) of the earlier events never happened. 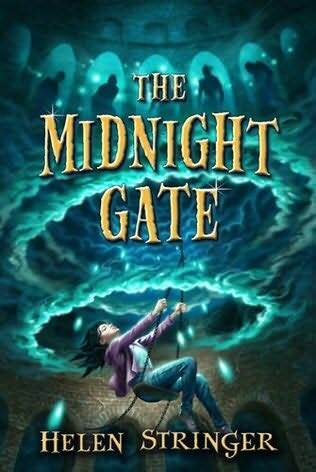 Her friend Steve, who's been through everything with her, practically ignores her at school, and despite the fact that Belladonna is the Spellbinder, all the adults who are involved in the spirit world seem to think she must wait until she is older to learn more about her powers and responsibilities. Then she goes on a class field trip to a haunted abbey, and she and Steve are given a strange map. Ghosts disappear - including Belladonna's parents - and she is whisked off to live at an unsettling foster home with a couple who appear to have diabolical plans for Belladonna. Once again she and Steve must work together, knowing very little about the otherworld and what they need to do to combat the powerful forces of the Queen of the Abyss. Belladonna is a strong heroine, and readers will be sure to identify with her as she struggles to unravel the complex tangle of mysteries that her life has become. 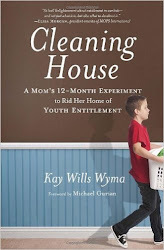 The adults in her life appear to be a little too clueless and unwilling to share relevant information with her, though - they seem to be testing her, as she is very young for such responsibilities, but considering what is at stake I found it just a bit over the top for them to be so unhelpful. But readers will be sure to appreciate the fact that despite their ignorance, Belladonna and Steve - as well as the feisty ghost Elsie - use their ingenuity and combine their various skills and talents to put up one heck of a fight. 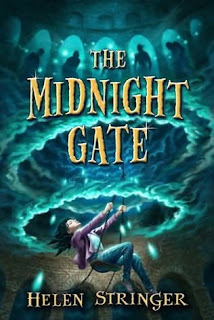 Readers who enjoy action-packed fantasy such as the Sisters Grimm series, Percy Jackson or Diane Duane's Wizard series should find this one very appealing. It combines mystery, action, and a dash of wry humor, and with its continual twists, turns, and revelations, it will keep readers guessing all along the way. Bookworming in the 21st Century: "These are definitely great books that I will be putting in my elementary library for my students that love supernatural and adventure stories." Charlotte's Library: "Although it's the monstrous questy things that will doubtless please the young Percy fans referenced above, for me the appeal of this series is the quirky charm that can be found off to the sides of the main plot." 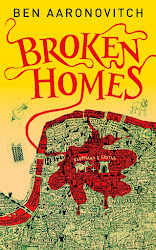 The Happy Nappy Bookseller: "The elements I enjoyed in the first book are present again. Belladonna, Steve and the ghost Elsie still have good chemistry, making for some great dialogue." This series does sound good. There are so many series out there, though, that I am not sure just how many I can humanly get to! I shall content myself with flipping the spellbinder bookmark I have back and forth since it's one of those hologrammy ones. Cat - I got Spellbinder out from the library. Otherwise I'd send a copy your way! If you get it and would like the sequel, let me know and I'll send you that.